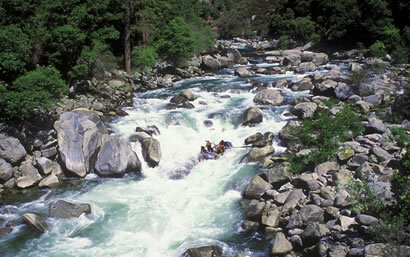 The Merced River flows through the Park in cascading waterfalls before gathering strength to create memorable roller-coaster-like Class III-IV rapids downstream. The Tuolumne River showcases what's best about rafting near Yosemite Valley: a beautiful Sierra Foothill canyon and challenging Class IV+ whitewater. 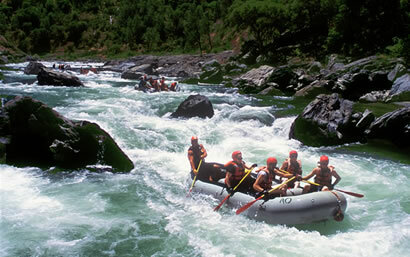 Class V rafting right outside Yosemite National Park - many say that no other commercial river trip in the United States is more challenging than Cherry Creek. 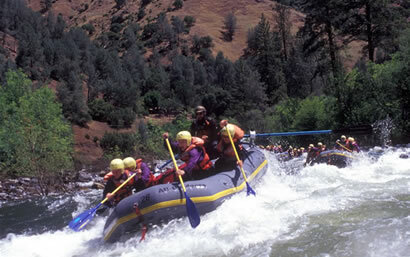 If you need help deciding which Yosemite whitewater rafting trip is most appropriate for you or your group, don't hesitate to contact us at (800) 247-2387.